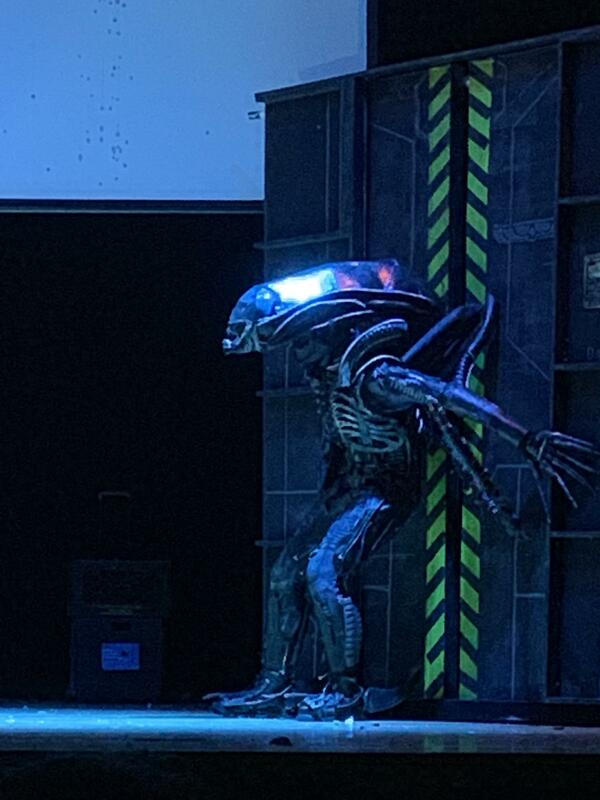 Except that nobody sang show tunes in the North Bergen High School Drama Club’s production of Alien: The Play, and a Xenomorph killed off most of the characters. Working with costumes and scenery made largely with recycled materials, the club brought its own version of the classic 1979 horror movie to the high school stage. And the critics raved. 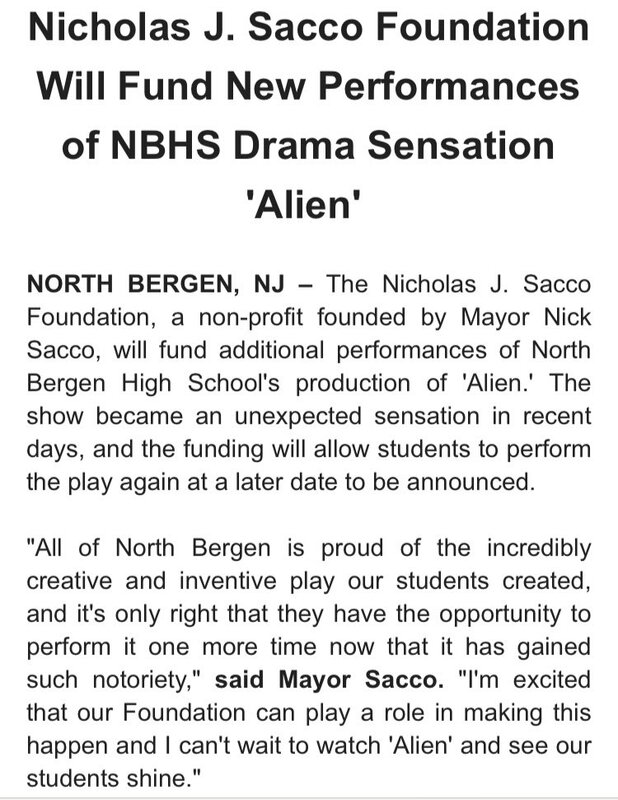 A non-profit founded by the mayor of North Bergen funded extra performances of the play. It looks like the North Bergen production diverged from the original movie by including a scene that comes from the sequel, Aliens, rather than from Alien itself, but there’s no way in this or any other world that they could have resisted including one of the greatest lines in film history. With just six little words, Sigourney Weaver’s has been bringing cheering audiences to their feet for more than three decades. 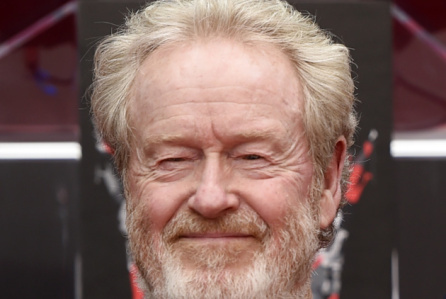 This entry was posted in Cats, Events, Movies, Nifty, Performance Art, Theatre, Video and tagged Alien, Alien: The Play, Aliens, North Bergen, North Bergen High School Drama Club, Phil Murphy, Ridley Scott, Sigourney Weaver on 28 March 2019 by bcarter3. I didn’t see the televised not-really-live performance of Rent last night, but I read some of the reviews this morning. While I was searching for them on the web, I found this wonderful old recording of David Rakoff’s thoughts on the musical. I’ve been a fervent devotee of this passionate and humane writer since I first saw him when he was a guest of Jon Stewart on The Daily Show. Among other honours, Rakoff won the Thurber Prize for American Humor. You can see why in his two-minute Advice to Graduates. David Rakoff died after a horrific battle with Hodgkin’s lymphoma on 17 August 2012. This is his funny, sad, and beautiful Final Performance. This entry was posted in Art, Athletics, Humour, Performance Art, Theatre, Touching Stories, TV and tagged David Rakoff, Jon Stewart, Rent, Thurber Prize on 28 January 2019 by bcarter3. Just Another Drama Club Kid Being Driven to Rehearsal by His Mom…. This glorious video deserves a Special Tony Award. Colin O’Leary presents “O’Leary Car Ride: Showtunes 2018”, and gives us a brilliant and hilarious treat to end this less-than-brilliant and hilarious year. I’m absolutely in awe of this kind of talent and originality and pure charm. In addition to that Special Tony Award for Colin, his mother and grandmother should share an award for Best Supporting Actress. Colin’s YouTube channel helpfully lists all the Broadway musicals captured in the video. 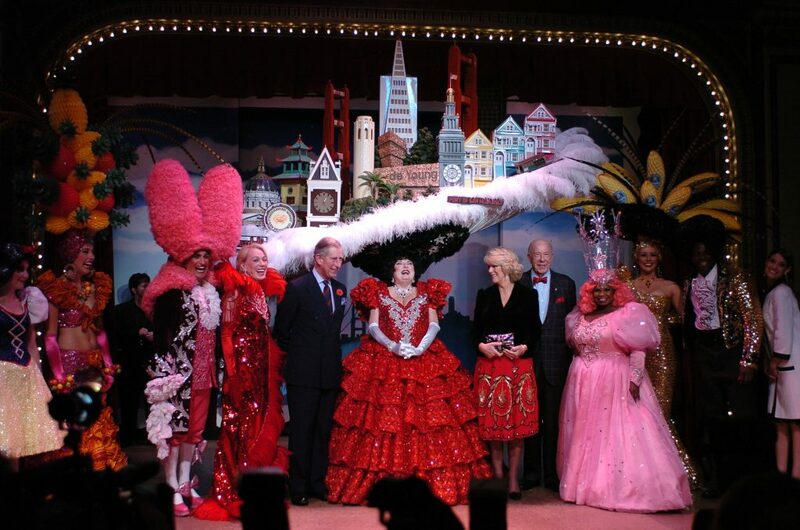 This entry was posted in Cute, Humour, Movies, Music, Performance Art, Theatre, Video and tagged Broadway, Colin O'Leary, Musicals, Showtunes on 24 December 2018 by bcarter3. Like most people, whenever I hear the music of the 80s band The Go-Go’s, I ask myself why nobody has used those songs as the score for an updated version of Sir Philip Sidney’s 16th-century Middle English book, The Countess of Pembroke’s Arcadia. Head over Heals, which does exactly that, has opened on Broadway. Although he’s largely forgotten now, Sidney played a huge role in the public life of the Elizabeth Age. He was elected to Parliament at the age of 18, and later became the son-in-law of Sir Francis Walsingham, Queen Elizabeth’s spymaster. A contemporary of Shakespeare, who “borrowed” part of Arcadia and used it as a subplot in King Lear,* Sidney was a writer, a diplomat, a courtier, and a soldier. His life was as varied and exciting as that of the great 19th-century adventurer, Sir Richard Burton. Head over Heals celebrates some of the recurring dramatic/comedic devices of Elizabethan theatre. 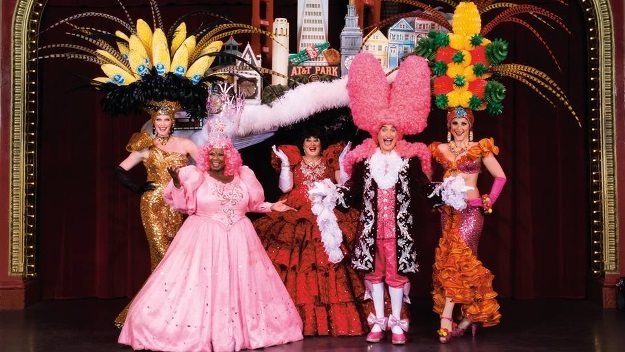 The show includes big helpings of cross-dressing and gender fluidity, so common on 16th-century stages and so timely five centuries later. Everything old is new again. And of course, plots that feature mistaken identities never go out of style. The 80s might have been the Golden Age of alternative/indie/powerpop/whatever music. For haircuts, not so much. I think that hairstyles almost always go out of fashion after 10 or 15 years, and look silly and embarrassing until a few decades later, at which point, they’re appreciated as classic. *Shakespeare did that sort of thing much too frequently. “It’s not plagiarism, it’s an homage”, Shakespeare never said, but he should have. This entry was posted in Books, Humour, It Came from the 80s, Music, Out of the Past, Theatre, Uncategorized and tagged Arcadia, Head over Heals, Our Lips Are Sealed, Queen Elizabeth, Shakespeare, Sir Francis Walsingham, Sir Philip Sidney, Sir Richard Burton, The Go-Go's on 14 August 2018 by bcarter3. 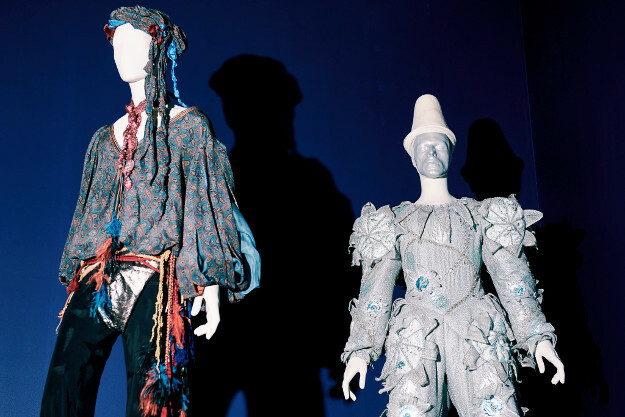 After a phenomenally successful five-year, five-continent, 11-city tour, the Victoria & Albert Museum’s David Bowie is exhibition is coming to an end. The show, now at the Brooklyn Museum, closes on Sunday, 15 July 2018. There are still tickets available, but the remaining weekends are heavily booked. Unless you already have a ticket, you won’t be able to get in tomorrow, 20 June 2018, because it’s a very special day. “Rip-roaring success” is an understatement, as David Bowie Is became the V&A’s fastest selling show. More than a year ago, it became the most visited exhibition in the V&A’s 166-year history. And tomorrow, it will welcome its two-millionth visitor. To celebrate, someone will be designated as Visitor #2,000,000 and will receive a signed lithograph of a Bowie self-portrait, a limited edition of the David Bowie Is book, a pair of Sennheiser headphones, and a premium subscription to Spotify. Look. This is a flat-out amazing exhibition. If you have a chance to see it, GO. You won’t regret it. If you skip it, on the other hand, you’ll never forgive yourself. Those 2,000,000 people are going to be talking about this show for the rest of their lives, and when they find out you didn’t see it, they’ll be relentless in their ridicule and scorn. This is one party you shouldn’t miss. If you’re unfamiliar with New York, it might be helpful to know that the Brooklyn Museum is a 45-minute subway ride from Times Square. It’s a straight shot, no transfers trip on the 2 and 3 lines, and the Brooklyn exit is at the Museum’s entrance. Here’s a “Know Before You Go” video from the Museum. All photographs in this posting came from the New York Times online. This entry was posted in Art, Design, Events, Fashion, Movies, Museums, Music, Performance Art, Photography, Theatre, TV, Video and tagged Billboard, Brooklyn Museum, David Bowie, David Bowie is, New York on 19 June 2018 by bcarter3. The National Theatre in London captures some of its finest offerings and makes them available for very limited runs—usually just one night, with possible encore performances months or years later—at selected theatres around the world. I’ve seen perhaps a dozen of the shows. The one that impressed me most was The Curious Incident of the Dog in the Night-Time, the National Theatre’s adaptation of Mark Haddon’s novel of the same name. The play won seven Olivier and five Tony Awards, and even by the monumentally high standards of the Theatre, it was dazzling. I saw it when it was first screened, in 2014, and called it one of the high points of the year. The play follows Christopher, a boy on the autism spectrum, as he tries to solve the mystery of who killed his neighbour’s dog. The staging at times puts us inside Christopher’s head, as he navigates a sometimes overwhelmingly perplexing reality. And now it’s coming back: The Curious Incident of the Dog in the Night-Time is returning to selected international cinemas this month. But you have to act fast. Most of the shows are scheduled to run on Tuesday, 12 June 2018. To see if it’s playing near you, check the listing on the National Theatre’s website. This entry was posted in Books, Coming Attractions, Design, Movies, Technology, Theatre, Video and tagged Curious Incident, Mark Haddon, National Theatre on 11 June 2018 by bcarter3.